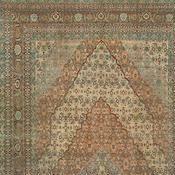 View a wide selection of antique Hadji Jallili (Haji Jalili) Tabriz rugs now available for sale. The city of Tabriz has a noteworthy history, both as the Persian Market center most linked geographically to Europe and Western commerce, and as the source of the most venerated weaving: the inspired antique carpets of the Shah Abbas period during the 15th and 16th centuries. 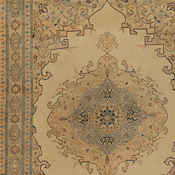 With such auspicious beginnings, during the second half of the 19th century, three Persian rug weaver/designers – Kurban Dai, Sheik Safi, and most notably, the luminary Hadji Jallili (Haji Jalili)—were responsible for the reclamation of this celebrated past by reinventing a truly memorable Persian carpet production. 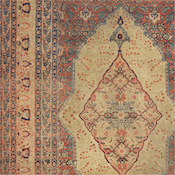 Serving as the first seat of the royal Savafid workshops, Tabriz antique carpet designers may have brought the curved line used in Ottoman rugs to Persian weaving. 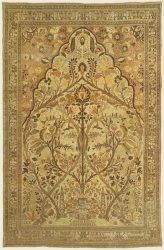 He was also a student of Sufi philosophy, and his antique Persian carpets are known to have a deeply penetrating and contemplative impact on the viewer. The workshop of Hadji Jallili (Haji Jalili) was extremely prominent and fulfilled many important commissions.  Thus, it’s best antique rugs requisitioned the finest materials used by master dyers and weavers, coupled with the master’s genius and innovation as a Persian carpet designer. 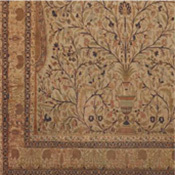 His creations are of two general antique carpet design types, either brilliant floral art carpets with opulent central medallions or meditative, highly decorative overall patterns with dense weaves up to 300 knots per square inch. Very finely detailed “Tree of Life” and “Garden of Paradise” Persian carpet patterns, replete with cypress trees, weeping willows, deer, peacocks and gazelle are also very occasionally seen. Seldom does Hadji Jallili (Haji Jalili) work employ the predominance of deep red and blue tones that are characteristic of most classical style antique Persian carpets. 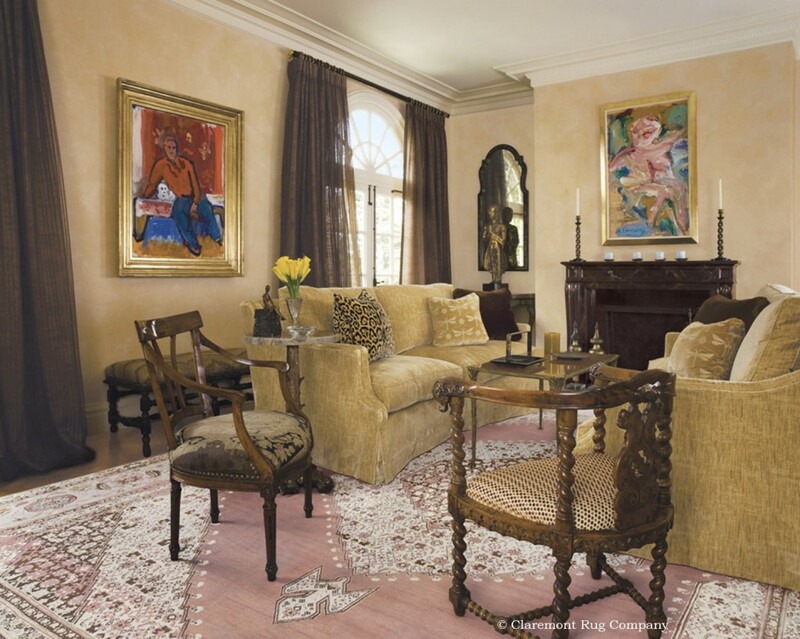 His unquestionable signature is the remarkably effectual use of a restrained palette of exquisite dyes, some in the very subtlest tones, wed with highly aesthetic, finely drawn patterns. Upon subdued backgrounds of ivory, sand, wheat, terra cotta, and pale rusts and browns, Hadji Jallili (Haji Jalili) masterfully designed vine-formed medallions and fluid arabesques in subtle tones such as rose and coffee. For the more dramatic visual effect, midnight indigo was sometimes used for greater contrast. Due to the high knot density, designs tend to have a porcelain, finely etched property, which is embellished by light backgrounds. 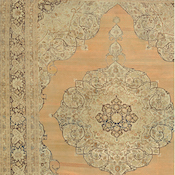 Although extremely difficult to procure because of their limited production and great demand, a small number of antique Hadji Jallili (Haji Jalili) Tabriz carpets can still be found in area sizes, room sizes, and very occasionally in majestic oversizes. 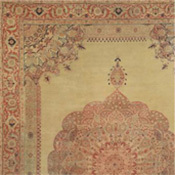 The unique sense of coloration and quintessential sense of subtle design transformed Hadji Jallili (Haji Jalili) Tabriz rugs into some of the most breathtaking Persian carpets from the 19th century. 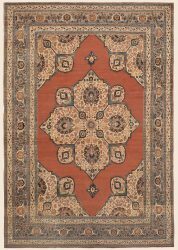 The best mid- to late-19th-century antique Tabriz rugs are unrivaled in their subtlety, grace, and magical patina, and are marvelously complemented by period decor and fine furnishings. Fortunately, the workshop of Hadji Jallili (Haji Jalili) achieved its goal in producing a legacy of memorable art works, whose lasting qualities have left us with this small quantity of precious masterworks to enjoy. 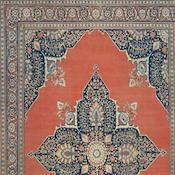 Although the designs of post-1900 Hadji Jallili (Haji Jalili) Persian carpets tend to be somewhat more predictable and static, the workshop maintained its renowned reputation for the highest standards of excellence through to the First World War. 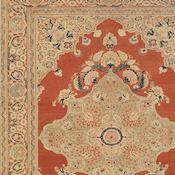 The majority of the antique Tabriz carpets in our Hadji Jallili (Haji Jalili) collection date from the 19th century, including some very early and prized Tabriz rugs woven circa 1850-1875, and are undisputed masterworks of art and proven art investments.